Cherry and Spoon: Minnesota Fringe Festival 2018: "JEANNETTE RANKIN: CHAMPION OF PERSISTENCE"
Minnesota Fringe Festival 2018: "JEANNETTE RANKIN: CHAMPION OF PERSISTENCE"
Summary: A solo piece about the first woman elected to Congress: pacifist Jeannette Rankin from Montana. Highlights: With a hole in my schedule, I made a spontaneous (note: I am not a spontaneous person) decision to see this show, and I'm glad I did. I had never heard of Jeannette Rankin before, and now I know she's an American hero (although she could learn a thing or two about intersectionality, but in her defense that was not a thing 100 years ago). Despite a few stumbles over lines, J. Emily Peabody gives a convincing performance as the first persistent woman in congress. The story covers the better part of a century and is well-constructed, with a slideshow of historical photos and costume changes as we progress through the years. Jeannette started her career as a social worker but soon decided that social reform was needed to solve the problems from the root. She joined the women's suffrage movement and was a successful speaker, traveling all over the country. Soon after women's suffrage was passed in her home state of Montana, she used that notoriety to run for Congress and win. She was one of 50 congress members to vote against WWI, and when she was reelected 20 years later, she was the only one to vote against declaring war on Japan after Pearl Harbor. Emily brings Jeannette to life in this brief summary of her long life. Imagine, Jeannette was elected to congress in 1916, and 102 years later women make up only 19% of the house and 23% of the senate. 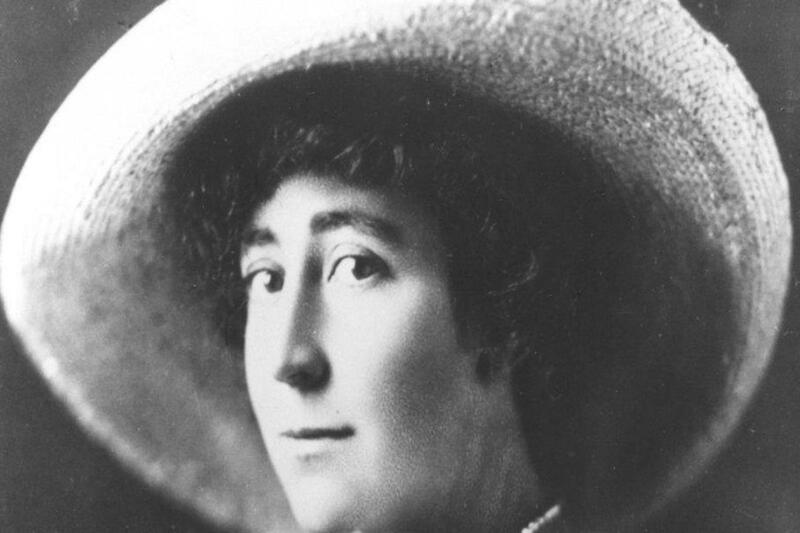 But that could change this November: honor the legacy of Jeannette Rankin by voting!